Summary: After world war III, Tokyo become a giant crater called "Black Spot". Some people lives in Black Spot gained special power, they are called "Needless". Personal comments: The background music feels like they pulled the sound track out of a street fighter game, and the concept of the story seems to be a completely copied from S-CRY-ed. Don't get me wrong, I'm not saying it's bad, it just feels like something has been made in the past. 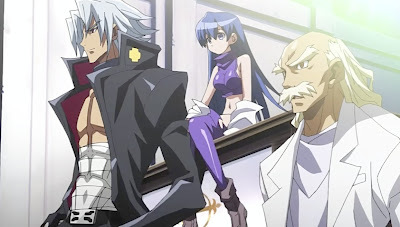 I have to say, first ep of needless was quite a letdown for me and 2nd ep wasn't much better. Princess Lover turned out to be a surprise hit for me so far.